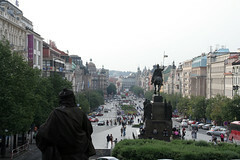 Wenceslas Square is a hive of activity and one of the busiest areas of downtown Prague. It is both centrally located for shopping, business, galleries, entertainment and historical sights. It technically is not a square but a rectangle, comprising a long, wide, sloping boulevard, at the end of which is the beautiful neoclassical Czech National Museum. 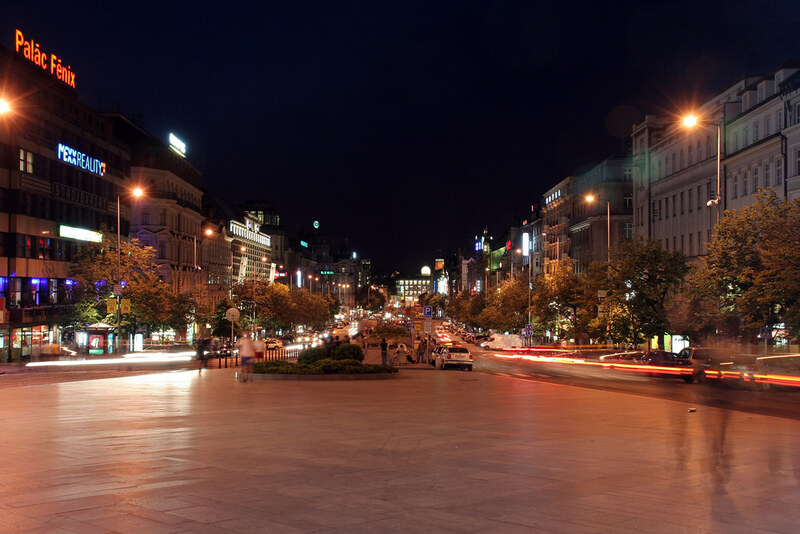 The square can trace its history back to the time of Charles IV and was originally used as a horse market. It has also been used to host many historical events including demonstrations and celebrations. 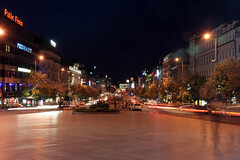 It was here that the first mass demonstration against the Communist regime was held, which eventually led to its demise. 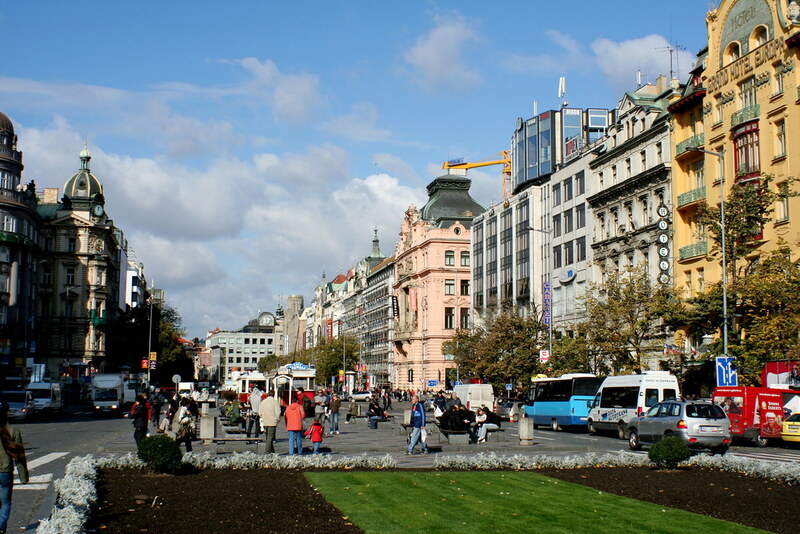 Wenceslas Square is surrounded by an assortment of buildings such as hotels including the Europa, shops, private apartments, bars and restaurants. 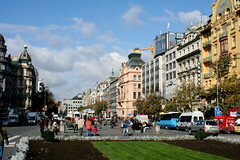 Its central location and historical presence has attracted many Czech and international retailers to the square, making it the ideal place to shop. There are several major outlets such as C&A, Nike, New Yorker and Bata, with its six floors filled with shoes, plenty of souvenir shops and a wide range of eateries from up market restaurants to fast food. Most of the square is open to traffic except near the north. This area is for pedestrians only. It is here that most of the shops are located. Like Old Town Square it is also famous for its outdoor Easter and Christmas markets where many handcrafted items and traditional foods are for sale. Although it always attracts crowds and can accommodate up to 400,000 people, it is particularly busy during festive times and holidays. 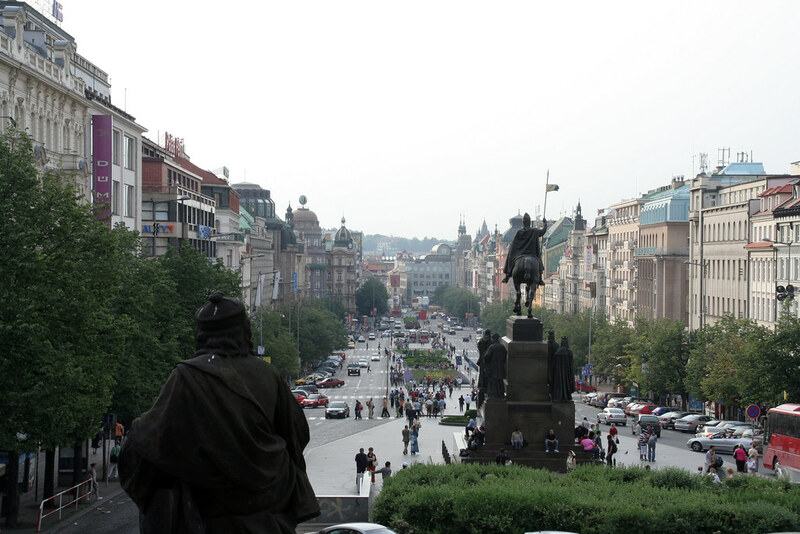 Be the first to write a review about the Wenceslas Square! See below for more information.